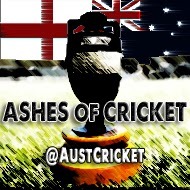 wdnicolson.com - An NRL Blog: #Ashes So Fox Sports is Joe Root Stuart Broad or is Stuart Broad Joe Root? #Ashes So Fox Sports is Joe Root Stuart Broad or is Stuart Broad Joe Root? Obviously it was an honest mistake, but that didn't stop it from being slightly amusing. PS. Are Australia any chance in the Series?